AKC › Entertainment › Did You Know? We typically associate Poodles with the French, but the breed actually originated in Germany. For years it has been regarded as the national dog of France, where it was commonly used as a retriever. But the breed name comes from the German word, "pudel" or "pudelin," which means "to splash in the water." The Poodle was named after splashing in water because these dogs were originally bred to be water retrievers. Their job was to bring ducks and other birds back to their masters. They haven't lost their skills over the years. Some waterfowl hunters still use Poodles today. It might be the ultimate doggie fashion statement today, but the traditional Poodle cut began being all about function, not fashion. Less hair would make the Poodle a more efficient swimmer, but also more vulnerable to the cold. To get the best of both worlds, Poodle owners placed puffs of hair around the joints and the upper torso to protect the joints and vital organs. 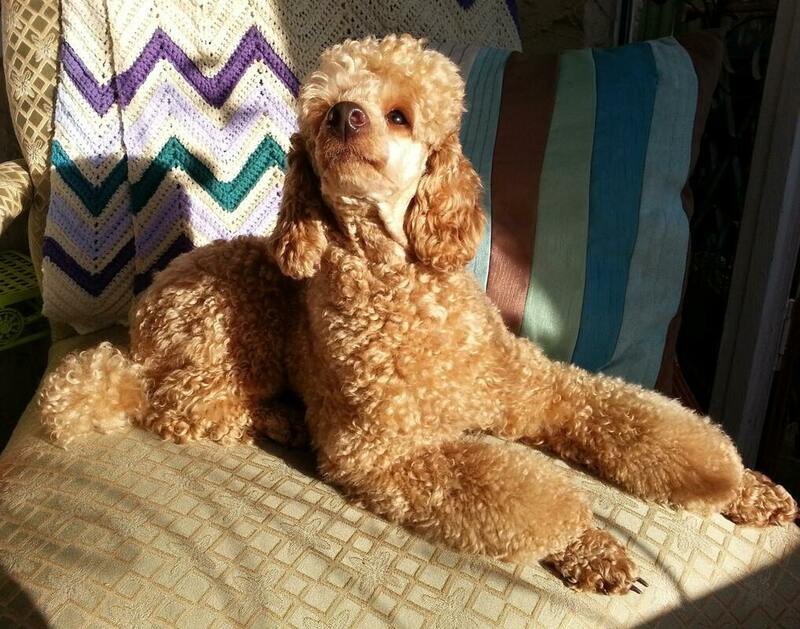 Each Poodle haircut has very specific rules about where the puffs of hair should be and how long they should be. In order to compete as show dogs, adult Poodles have to have one of three hairdos: the Continental Clip, the Modified Continental Clip, or the English Saddle. Puppies in competitions must have the official Puppy Clip, which is an even length all over the body. There are many other hairstyles that are not acceptable for AKC competitions, but are quite acceptable as fashion statements. You might know that Poodles come in different sizes. Those are the standard, the miniature, and the toy. All the sizes fall under the same breed and are expected to comply with the same breed standard. "What's the difference between hair and fur?" you may wonder. Fur grows up to a certain point and then falls off—what we know as shedding. Hair does not fall out and never stops growing. Poodle hair, like human hair, can respond to hormonal changes in the body. 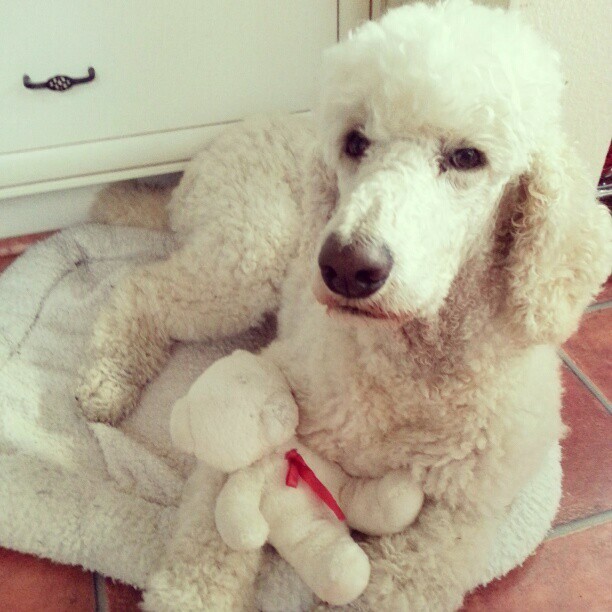 Female Poodles can experience hair thinning or loss after having puppies. 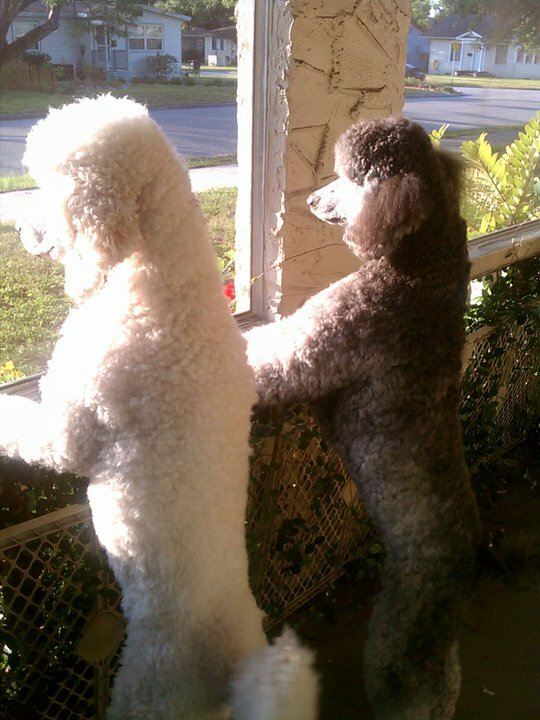 Poodles are one of the smartest dog breeds. Their intellect and their eagerness to please make them great service dogs. Poodles can work as seeing eye dogs and assistance dogs for people with other physical disabilities. The Iditarod dog sled race takes place every year in Alaska and is now restricted to northern dog breeds that are well-adapted to the cold. This rule restricting the breeds that can participate was adopted after a musher, named John Suter, attempted to compete with a team of standard Poodles in 1988. Some of the Poodles were so cold due to frozen feet and hair-matting problems that that they had to be dropped off at checkpoints. 9. Many American Icons Have Owned Poodles. 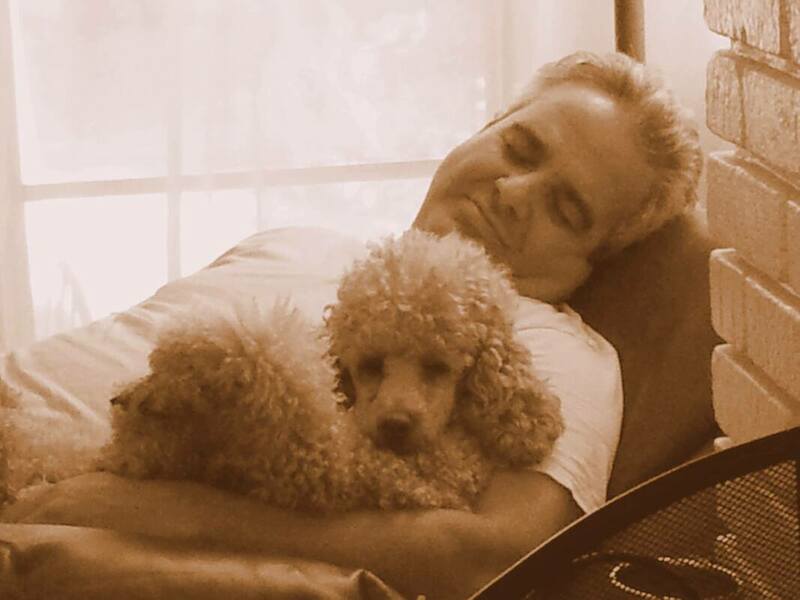 Elvis Presley was particularly fond of Poodles. He kept them as pets and frequently gave them to girlfriends. Other famous Poodle owners include Elizabeth Taylor, Jackie Kennedy, Lucille Ball, Marilyn Monroe, Katharine Hepburn, and Walt Disney. Looking to add this proud, highly intelligent and active breed to your family? Check out AKC Marketplace to find a Poodle pup!